The Scottish Government has been undertaking a governance review of Scottish education – the main stages of this are outlined below. Starting with an initial consultation launched in September 2016, the latest consultation on the proposed content of an Education Bill closed on the 30th January 2018. The outcomes of this review will have impact on CLD practitioners and the CLD Standards Council. Engagement of the CLD profession in the process of consultation is essential to realise the CLD values, creating an infra-structure that develops and supports quality, competent CLD professionals. The Scottish Community Development Centre (SCDC) has issued a statement of support for the CLD Standards Council regarding the current Education Governance Review. SCDC is a highly regarded organisation that plays a leading role in promoting community development in Scotland. The statement clearly outlines the importance of the CLD Standards Council and CLD professionals in improving outcomes for communities and learners. This response sets out the views of the CLD Standards Council Scotland in respect of the Scottish Government’s document “Empowering Schools: A Consultation on the Provisions of the Education (Scotland) Bill”. It has been produced as a result of extensive professional discussions with approximately 500 CLD practitioners across Scotland. The CLD Standards Council supported practitioners to consider the consultation through professional discussion events across Scotland. Views of practitioners were also gathered at these events and through directed forums and online questionnaires to enable the Council to make a response on behalf of the sector. Go to i-develop governance discussion area to see the shared views. The CLD Standards Council has prepared this perspective note to stimulate discussion and ideas on the implications for CLD, both in relation to the new workforce council and the other aspects of the proposals. Empowering Schools: A consultation on the provisions of the Education (Scotland) Bill consultation opened by Scottish Government seeking views on the detailed policy proposals being taken forward by the Scottish Government in the Education Bill. The Consultation closed 30 January 2018. Professional Discussion events held across Scotland by the CLD Standards Council, to give CLD practitioners opportunities to discuss and share views. Online discussion forums in i-develop as well as online questionnaires also made available. CLD Standards Council Position Paper published in order to prompt practitioners to consider what the Next Steps could mean for their practice. 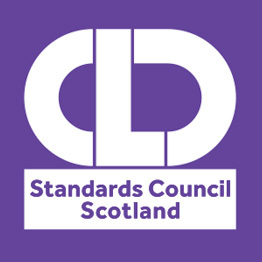 An Expanded Position Statement also published providing further information on the development and achievements of the Standards Council, the Scottish Government’s policy for CLD, and the Standards Council’s response to the Education Governance Review. Scottish Government publish the Education Governance: Next Steps – Empowering our teachers, parents and communities to deliver excellence and equity for our children. CLD Standards Council responds to Scottish Government consultation after consultation with members.